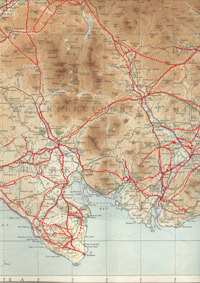 The Jacobite Rebellion of 1745 made the authorities aware of the need for accurate maps if they were to control the Highlands. 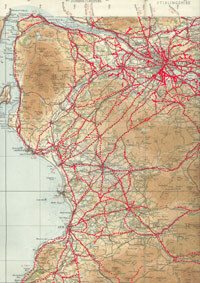 In 1747 a survey of the whole country was started under the direction of William Roy. 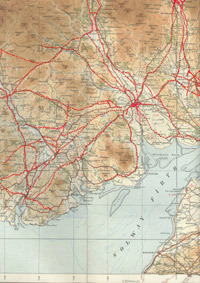 The resulting maps at a scale of 1 inch to 1000 yards provide a wealth of information about Scotland at that time, including roads. This section gives the background to the survey and provides an overview of the road network in the south of Scotland in the 1750's, just prior to the turnpikes. 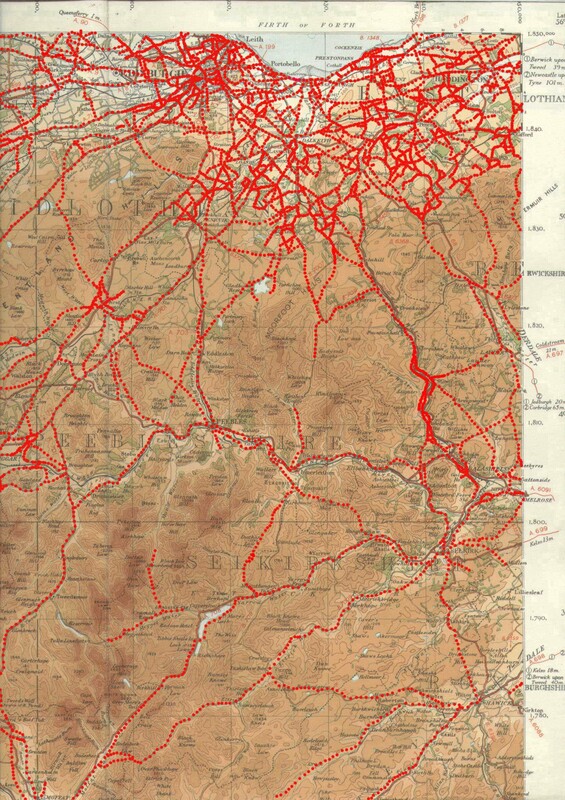 For roads in the Highlands, see the roysroads website where the military survey roads have been overlaid onto modern maps. The site also contains much useful information about Roy and the Military Survey. 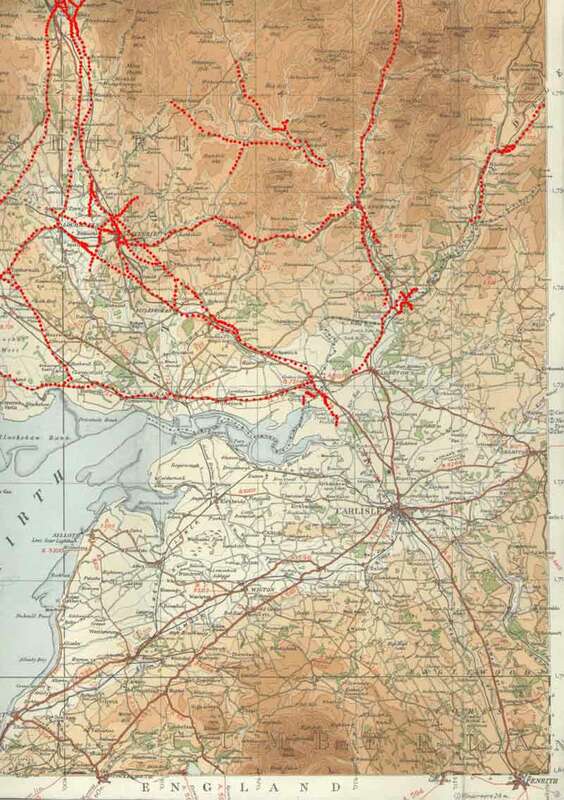 In these sections, the roads and tracks from Roy�s sheets have been copied onto old OS maps thus allowing a clearer idea of the routes they followed and how they relate to still existing road and tracks. 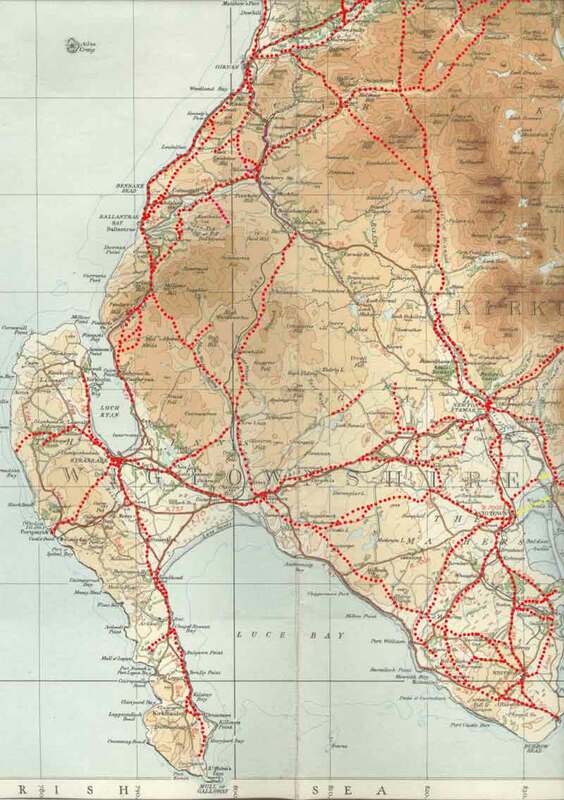 Some maps are accompanied by short notes on each of the roads. Regional overviews are also provided. 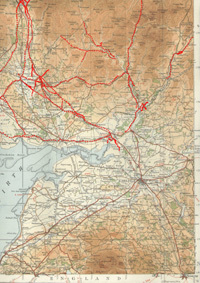 A list is given of sections of road that do not appear to have been mapped. 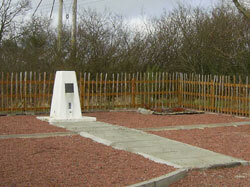 Memorial to General Roy at site of his birthplace near Carluke. 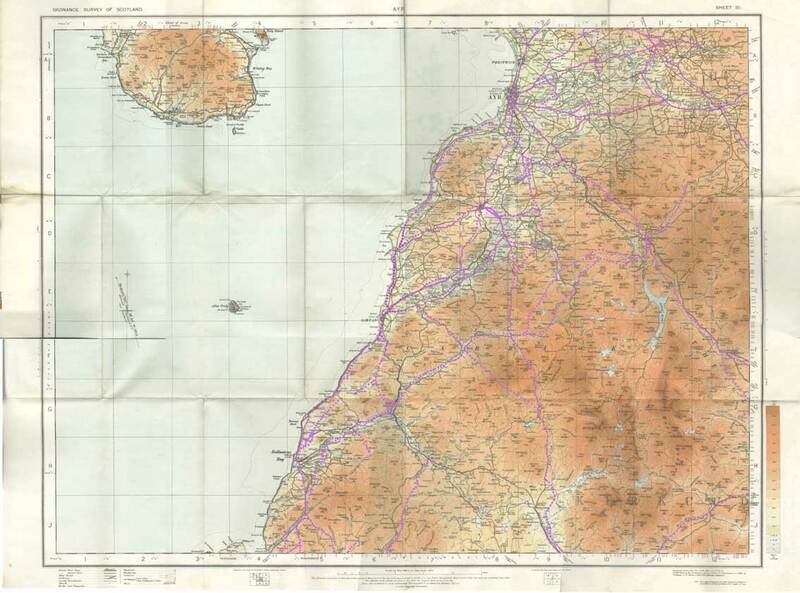 The plaque reads "Here stood Miltonhead the birthplace of Major-General William Roy 1726-1790 from whose Military Map of Scotland made in 1747-1755 grew the Ordnance Survey of Great Britain." 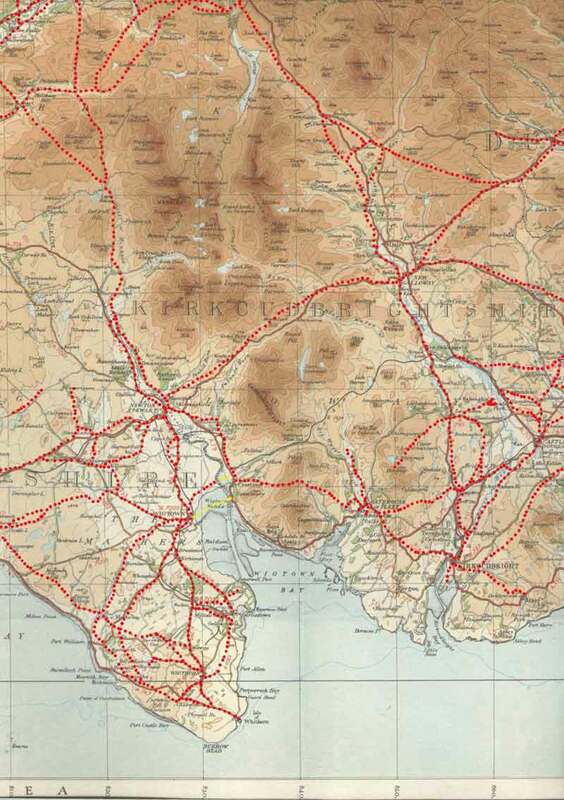 The Jacobite rebellion of 1745 made the authorities acutely aware of the need for detailed maps if they were to control the Highlands. The Duke of Cumberland, in his campaign that led ultimately to Culloden, had been seriously hampered by the lack of adequate maps. In 1746, he ordered a full survey of Scotland and this was placed under the direction of William Roy, an assistant in the office of the deputy quartermaster-general for North Britain. 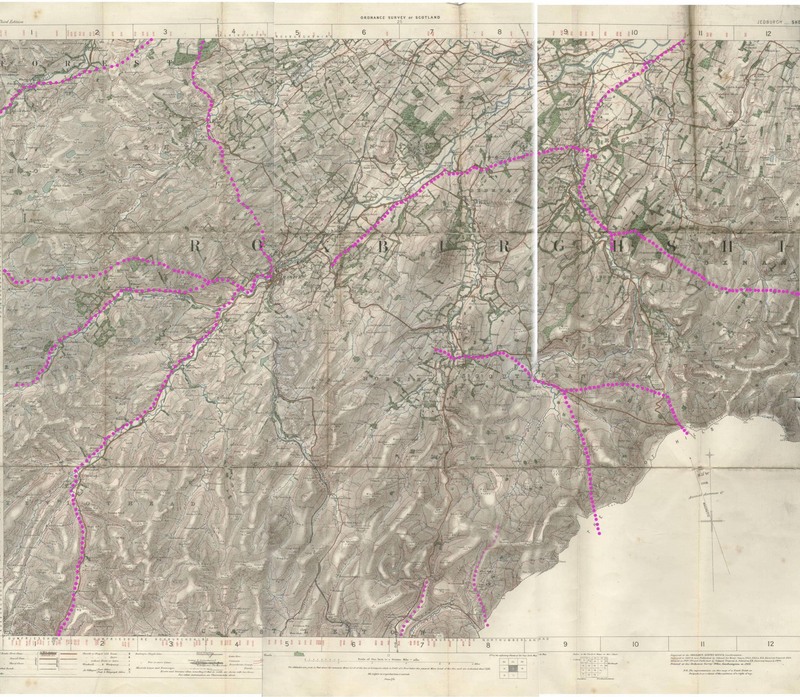 The survey started in 1747 and was completed in 1755. 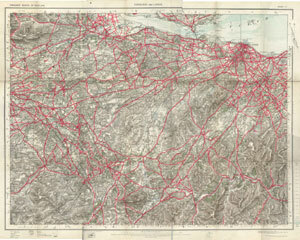 It was carried out at a scale of 1:36,000 or 1000 yards to a mile and given the surveying techniques of the time, surprisingly accurate. The maps provide a valuable picture of Scotland at the time showing hills, rivers, settlements and roads and tracks. 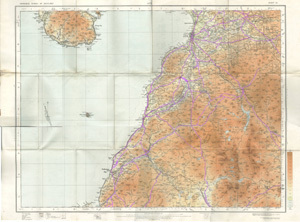 It should be noted however that the islands were not included in the survey and mapping of some areas may be incomplete (see NLS for more details). 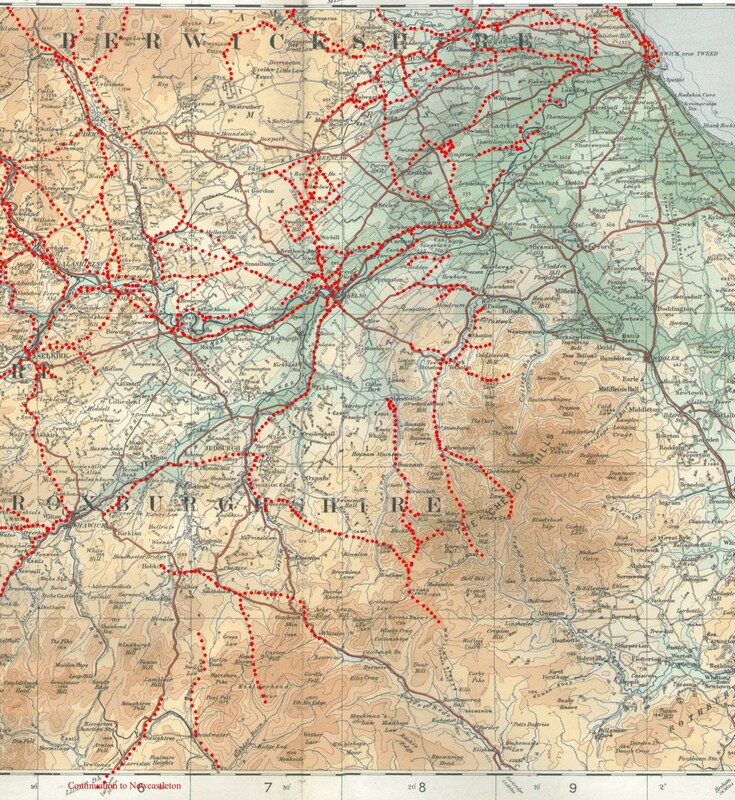 After service in the 7 Years War, Roy continued his career in surveying, holding important army posts and eventually becoming a major-general in 1781. 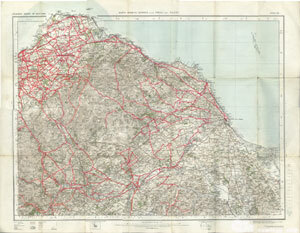 His work at this time led to the formation of the Ordnance Survey. 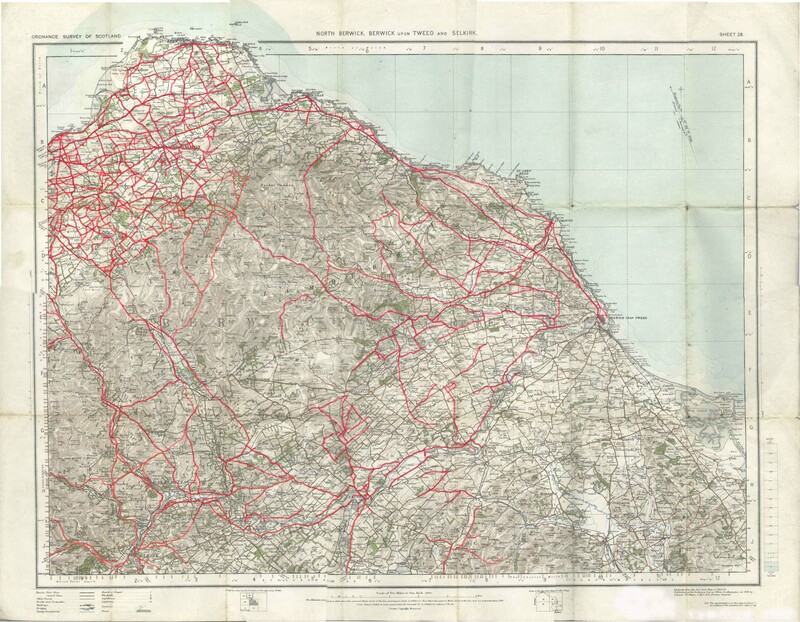 He was also an antiquarian and carefully recorded Roman sites and roads during his survey of Scotland. 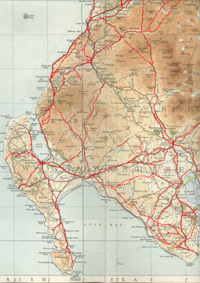 His study The Military Antiquities of the Romans in Scotland (NLS) was published after his death. 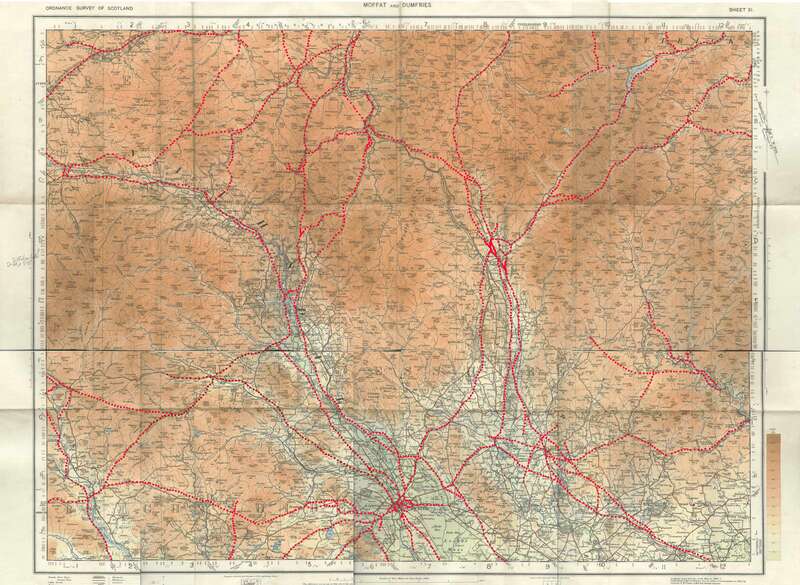 Perhaps surprisingly the maps were never published and for a while lay forgotten in the King�s Library. 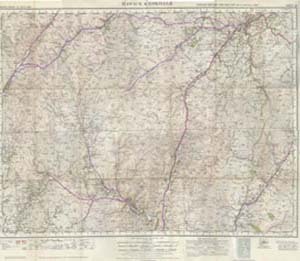 They were rediscovered and used by Arrowsmith who had been commissioned in 1805 to extend his survey of England to include Scotland. 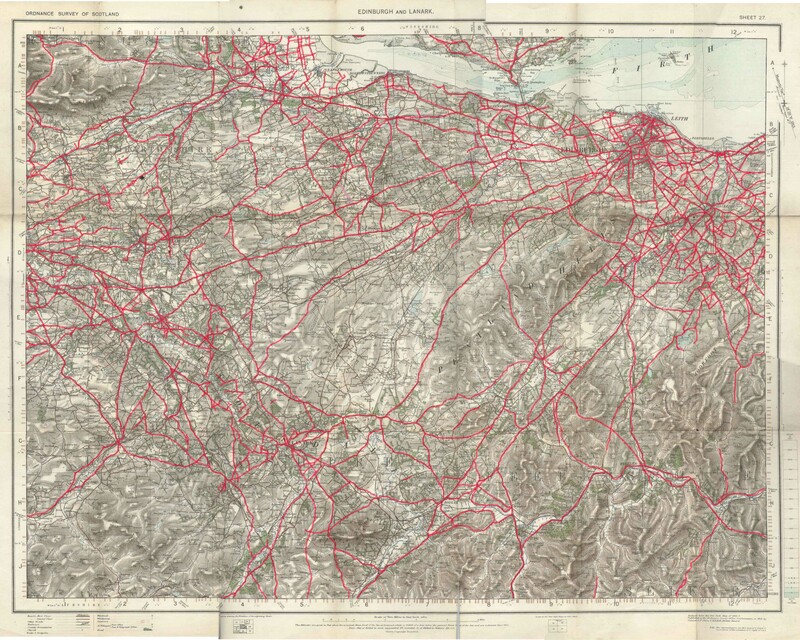 Later they were superseded by the maps of the Ordnance Survey. 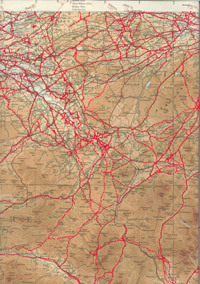 The maps are in the British Library along with a reduced scale map produced by Paul Sandby later to become an accomplished artist. 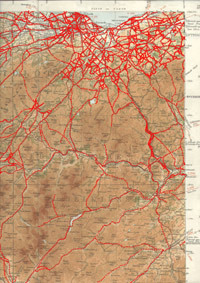 Copies of the maps can usually be found in large public libraries but SCRAN provide online access to all the maps at full scale. Free access may be available at some libraries. 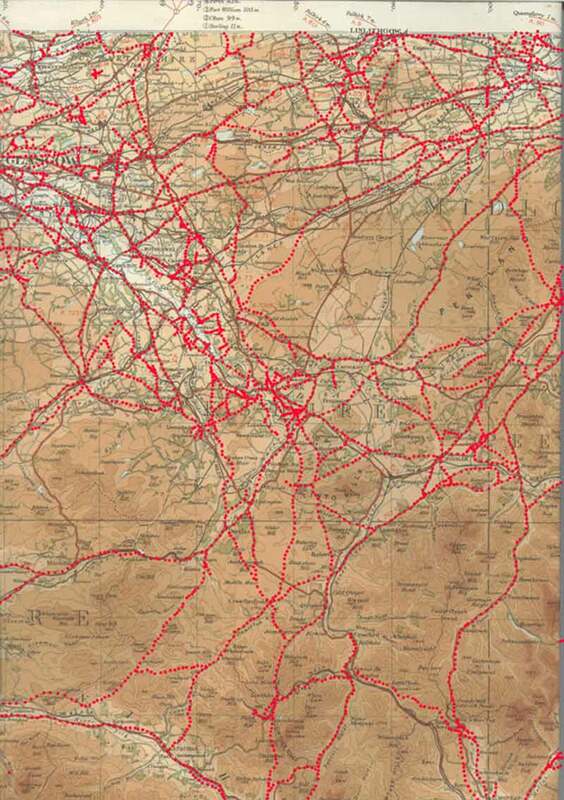 Subscription rates in 2007 for individuals are �30 pa and �20 for 6 months. 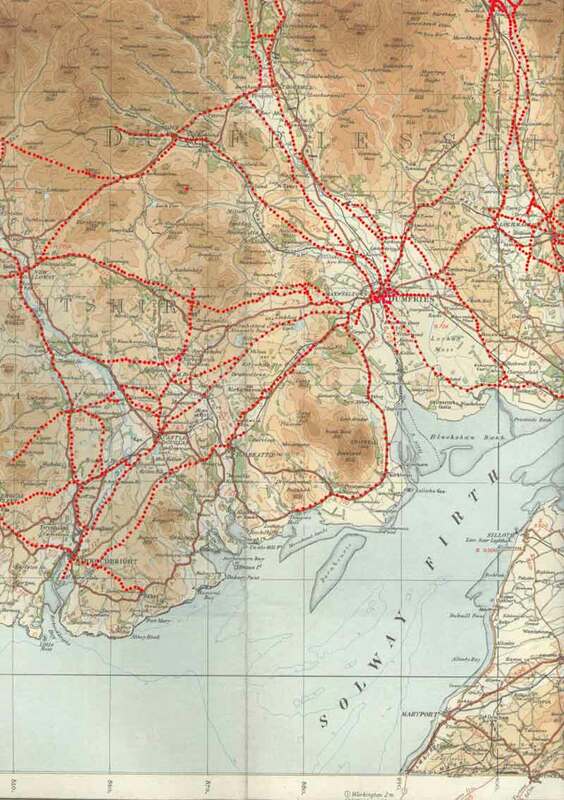 The maps have recently been added to the National Library of Scotland website (2007) where they can be viewed free of charge. 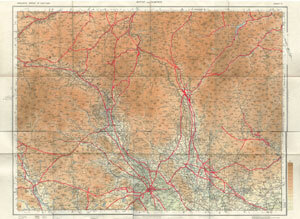 The maps are supported with detailed information on the Military Survey. Based on quarter-inch 1935 and 1922 OS map. 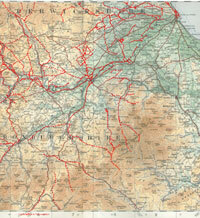 � Crown copyright. 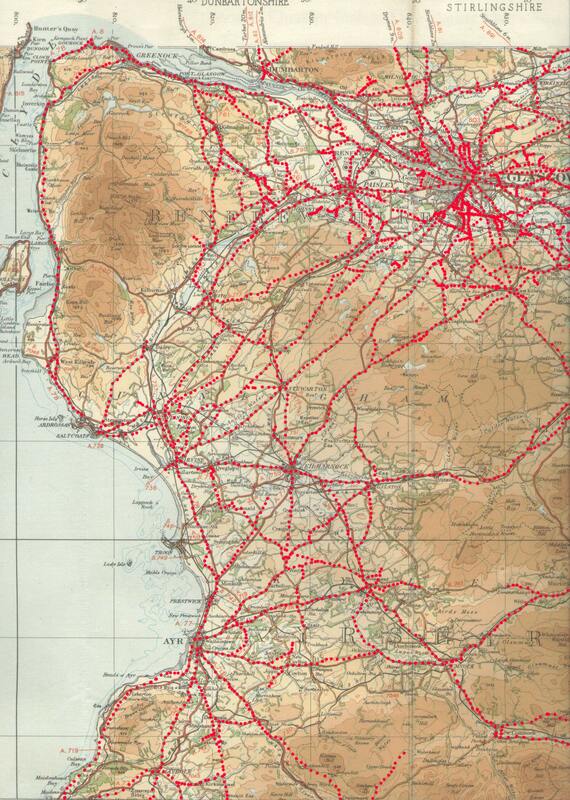 Reproduced from Jedburgh, Sheet 17, published 1905.
for Arran - see NLS for later maps. 1914. 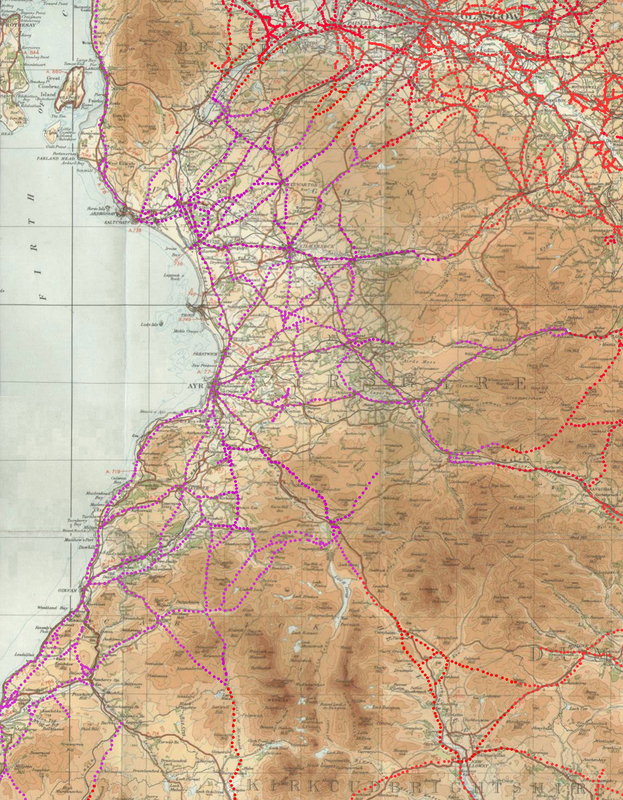 With thanks to Ordnance Survey.